ChafeX 1.75 Oz.Tube FREE Shipping in the USA! Delivery 2-3 business days via US Post Office ChafeX is unlike any product that you have ever used. Utilizing innovative chemistry, we developed our exclusive MicroLayer Technology with Layers that Last. 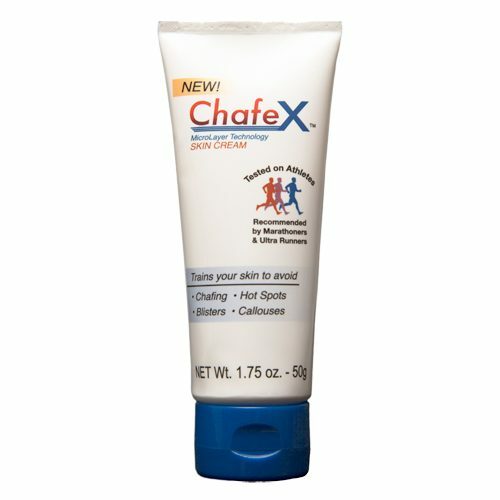 ChafeX forms a durable, yet flexible MicroLayer which reinforces the protective cellular structure of the skin. The result is long lasting avoidance of skin irritations including chafing, blistering, inner thigh abrasion, jog bra lines, waistband and tank top marks.